Lester L. Laminack is Professor Emeritus from department of Birth-Kindergarten, Elementary and Middle Grades Education, at Western Carolina University in Cullowhee, North Carolina where he received two awards for excellence in teaching [the Botner Superior Teaching Award and the Chancellor’s Distinguished Teaching Award]. Lester is now a full-time writer and consultant working with schools throughout the United States. He is an active member of the National Council of Teachers of English and served three years as co-editor of the NCTE journal Primary Voices and as editor of the Children’s Book Review Department of the NCTE journal Language Arts (2003-2006). He also served as a teaching editor for the magazine Teaching K-8 and wrote the Parent Connection column (2000-2002). He is a former member of the Whole Language Umbrella Governing Board, a former member of the Governing Board and Secretary of the North Carolina Association for the Education of Young Children, and a former member of the Board of Directors for the Center for the Expansion of Language and Thinking. He served as the Basic Reading Consultant to Literacy Volunteers of America from 1987 through 2001. He is currently a member of the Board of Directors of Our Children’s Place [www.ourchildrensplace.com]. 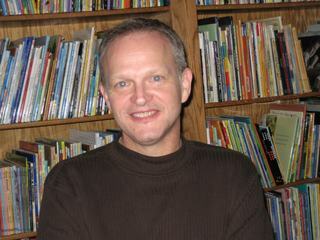 His academic publications include several books including Learning with Zachary (Scholastic), Spelling in Use (NCTE), Volunteers Working with Young Readers (NCTE), and his contributions to The Writing Workshop: Working Through the Hard Parts (NCTE), Learning Under the Influence of Language and Literature (Heinemann) Reading Aloud Across the Curriculum (Heinemann, Cracking Open the Author’s Craft (Scholastic) and Unwrapping the Read Aloud (Scholastic). In addition he has several articles published in journals such as The Reading Teacher, Early Years, Science and Children, Language Arts, Teaching pre-K/8, Primary Voices, and Young Children. Lester is also the author of six children’s books: The Sunsets of Miss Olivia Wiggins, Trevor’s Wiggly-Wobbly Tooth, Saturdays and Tea Cakes, Jake’s 100th Day of School, Snow Day! and most recently, Three Hens and a Peacock all from Peachtree Publishers. Lester was born July 11, 1956 in Flint, Michigan. His mom and dad had left their families in Alabama and moved to Michigan where his dad, Jimmy, worked for GM. But Michigan is long way from Alabama when you have a two year old and a brand new baby. So, just two weeks after Lester was born his parents packed everything and moved back to their hometown, Heflin, Alabama. They wanted Lester and his brother Scott to grow up near grandparents, aunts and uncles and lots of cousins. When Lester was 6 the family moved again. This time to Zachary, LA where Lester attended part of 1st and all of 2nd grade. Then they moved back to Heflin where he completed 3rd grade and 4th grade. In April of 1966, while he was in the 4th grade, Lester's sister, Amanada, was born. She was so little when they brought her home that he had to hold her on a pillow. Every day when he came home from school he held her and told her stories. Some people think that's why he is a writer. Lester and Amanda have always been very close even though he is 10 years older. When Scott was in the 7th grade and Lester was in the 5th grade and Amanda was just one year old the family moved again. This time it was to Key West, FL. They lived there under a year before moving back to Alabama. Lester finished high school back in Heflin and then earned a BS and MS in Elementary Education from Jacksonville State University, Jacksonville, AL. Then he earned an Ed.D. in Elementary Education and Reading from Auburn University, Auburn AL. And now Lester lives downtown in Asheville, North Carolina. He starts every day with a cup of coffee, loves to listen to music and NPR. He plays saxophone and a Native American flute made from river cane. He reads a lot of children's books, Southern Fiction, poetry, and books on teaching reading and writing. He loves taking drives on the Blue Ridge Parkway and along the two-lane roads in the countryside. San Francisco and New York. Paris and Venice and Florence. Favorite place to write: At home in my office. In a coffee shop.